The first season of Legends of Tomorrow was a tad hit and miss, but season 2 was a vast improvement over what came before. Sure, the Legion of Doom could have been handled a little better, but the team dynamic made each episode a must-watch and proved to be a highlight on more than one occasion. Season 3 is still a ways away, but it seems as if the promotional campaign is already getting going, as we now have the first poster. Tweeted out by Brandon Routh, it obviously doesn’t feature any updated looks for the current roster or new team members due to the fact that the show hasn’t started filming again yet, but there is one potentially interesting talking point here. That’s the fact that Jax is suited up as Firestorm while Dr. Martin Stein stands separate to him. Those two need to merge to become the hero, so why they would be divided in Legends of Tomorrow‘s third season is hard to say. It is, of course, possible that whoever made this just wanted every cast member on there, but we won’t know for sure until much closer to the fall. When the show returns to The CW, the team will be disbanded after clashing with Rip Hunter and his newly established Time Bureau after their methods are called into question. However, upon reforming, the Legends will challenge the Time Bureau’s authority over the timeline and insist that however messy their methods may be, some problems are beyond the Bureau’s capabilities. It seems some problems can only be fixed by Legends. 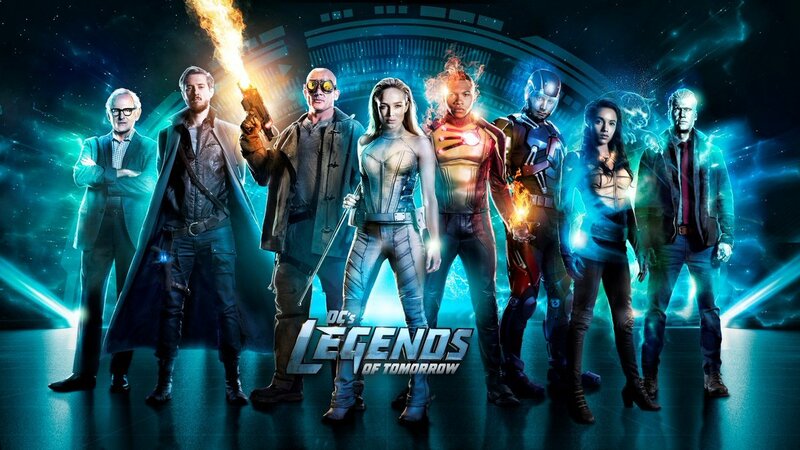 Look for Legends of Tomorrow‘s third season to kick off later this year.